Within a few days of using this toothpaste, I noticed that I no longer had the “fuzzy teeth syndrome” at the end of the day or in the morning. My teeth feel so clean all the time now, without having to resort to brushing with baking soda. I highly recommend this toothpaste. 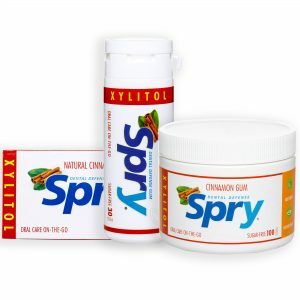 I won’t go back to conventional toothpastes after using the Spry xylitol toothpaste! This stuff is great, it leaves your teeth so smooth, even when I wake up in the morning my teeth are still smooth and I’m free of that “morning mouth” I used to get. No other toothpaste will do – and honestly, we’ve tried them all. The xylitol is lightly sweet and the flavor is fresh and peppermint-y, but neither are overly so. No artificial junk and no fluoride = no complaints from mom. Great flavor = no complaints from the kiddos. This is a win. 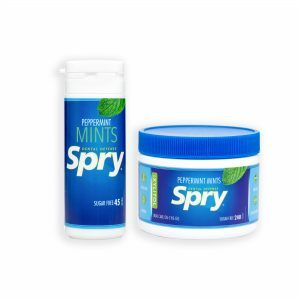 The taste and texture of Spry toothpaste is good. My whole family has been using it for about two years and our dental health is great! This is the best toothpaste I’ve ever tried. I have tried a few natural toothpaste options and a lot of them tasted like you were brushing with paper mush. This one is both nice tasting and is also effective. Simply love it. Right before going to bed – feeling very good and clean. 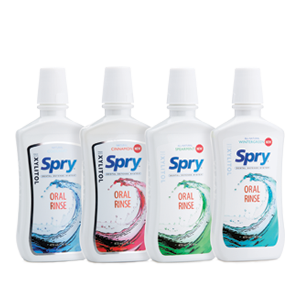 I’ve used two bottles of Spry now and I can honestly say that I will continue to use it! The taste is nice, my mouth is left fresh and it’s aided in my sensitive teeth becoming less of a problem. After I floss and brush, I rinse with this product. I love the natural ingredients in the product. My mouth feels so clean afterward! I love this oral rinse. I have never loved an oral rinse before. Leaves mouth feeling fresh and clean for a long time. This product really keeps your breath fresh. The whole family uses it. My husband has very dry mouth due to radiation treatments and we were told about this. It works better than anything else that he has tried. Good product, now I can sleep much longer. Without this, I was using those annoying slow dissolve tablets, or another brand of spray. This is my favorite by far and what am recommending to people who complain about dry mouth. The other spray lasts me about 15-20 minutes, Rain spray lasts 45 minutes to sometimes two hours. This product works. Use it day or night. It comes with a small container that you can use for your purse or travel bag. This is the best of all dry mouth products and I’ve tried them all. I loved this toothbrush and gel. My son loved to hold it and chew on it after I had brushed his teeth/gums. I really like it and so does my son. We started using this when my son turned a year old and he absolutely loves it! He gets so excited when he sees his toothbrush! It has a soft rubber feel to it and is easy to hold for him to use himself or for us to brush for him. The toothpaste is great and he loves the taste! 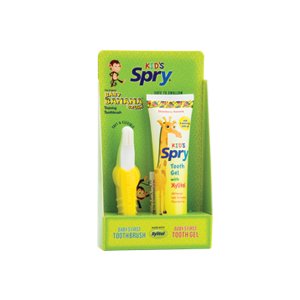 Perfect for your little love’s first toothbrush! Love that the toothpaste is all natural too! Thank you! My baby uses it everyday! Thanks to Xlear for making candies without aspartame. I love these little bites, sweet but no sugar. I am a sugar candy lover and these are delicious. I am so happy!!!!!! 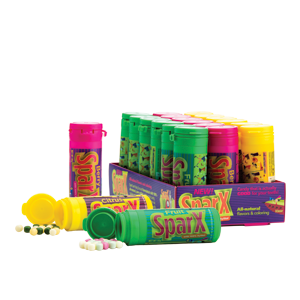 I loved all the flavors and finding out that they are actually good for your teeth as well is a plus. I am now ordering more products made with Xylitol. I ordered these for my kids because I’m trying to limit the sugar. I didn’t expect much but was pleasantly surprised at how good they are. They kind of taste like mini sweet tarts. I ate a whole package myself. Finally, a sweet and delicious hard candy that is actually good for your teeth. The more I read about xylitol the more I believe it is the perfect sweetner. The berry flavor is my favorite but the fruit flavor is good too. If you like more of a sour taste then try the citrus flavor.